Maeror Tri was a band from Germany, founded in April 1988 by Stefan Knappe, Martin Gitschel and Helge Siehl. The group consisted of three members who only used electric guitars and tons of processing devices to create their droning soundscapes. Their music borrowed elements from industrial, minimalism and new age meditation to reach a new form of transcendentalism. Their early works as Screaming Corpses, however, resemble post-punk and industrial music very much. Very little is known about their origins, even the identity of the band's members remains vague, except for Stefan Knappe, the group's spokesperson and also owner of the label Drone Records. The name they chose is probably an incorrect Latin expression that may be better translated as "The Mourning Three" or "The Grieving Three". "Dedicated To A New Dawn", their first cassette, was self-released on their own Baracken Records in 1988, soon followed by many more cassette works on labels like ZNS, Tonspur and Audiofile, and a lot of compilations appearances. Because of the consistent quality and originality of their music and the uniqueness of the special packages it came with, the group built a very strong reputation in a relatively short period of time. In 1993 Korm Plastics released the very first "overground" Maeror Tri album "Multiple Personality Disorder" a concept CD divided in four long parts recorded back in 1991 that fully showcase their mastery in distorting and layering guitar sounds. It was soon followed by "Meditamentum", a collection of selected tape tracks recorded from 1988 to 1993. "Myein", a monumental work recorded between 1992 and 1993, was released on americal label ND in 1995. This work presented three long tracks that well exemplify some of the aspects of their art: the gothic droning of "Phlogiston", the ambient-electronica of "Desiderium", and the cosmic doodling of the 47 minutes long title track. "Language of Flames and Sound", released on Italian label Old Europa Cafe in 1996, continued to chronicle the group's evolution into more abstract domains. In late 1996, as the group was about to break into the growing experimental electronica scene, one member of the band decided to quit, leaving Knappe and Glit(S)ch to continue as the duo Troum. Helge Siehl formed the ambient project Tausendschoen. "Mort aux Vaches", a symphony in three movements and the group's installment in Staalplaat's series of experimental electronica, and "Emotional Engramm" (on Iris Light), probably their most accessible recording, were both released posthumous in 1997. 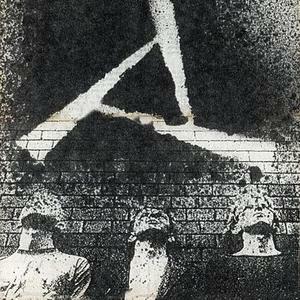 Archive material has continued to surface over the years after the group ceased to exist: a second volume of "Meditamentum", released on Manifold in 1999, salvaged more material from the early years limited edition cassettes, while the "Hypnotikum I" and "Hypnotikum II" LPs are valid examples of the group's live attitude.